2nd Trailer for Joel and Ethan Coen's "The Ballad of Buster Scruggs" is here! Film hits Select Theaters Tomorrow! The second trailer for "The Ballad of Buster Scruggs" the Coen brothers latest film is here! Joel and Ethan Coen have always delighted me cinematically, and the tagline for this film "Stories live forever. People don't." is a perfect way to not only describe the characters of the Coen brothers films but eventually all creative masterminds as well. 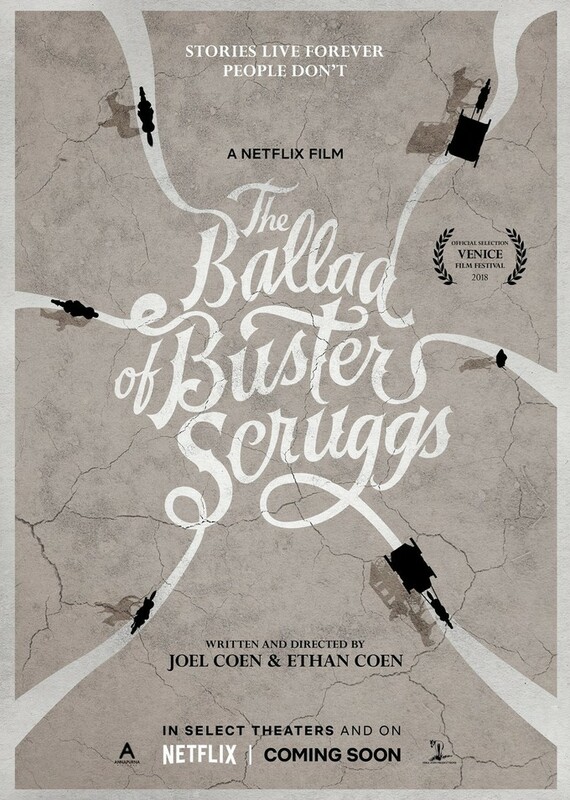 Everything about this film has me chomping a the bit, ready to saddle up and skedaddle to a cinema, unfortunately, "The Ballad of Buster Scruggs" has an exclusive limited theatrical playing starting November 8th (TOMORROW) and afterward will be streaming on Netflix beginning November 16th. So make sure and rope in some tickets! Here is the astonishingly beautiful, and rib-tickling second trailer.